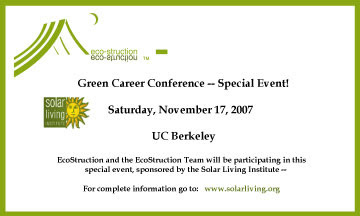 EcoStruction and the EcoStruction Team joined the Solar Living Institute at a Green Career Conference Special Event at UC Berkeley. 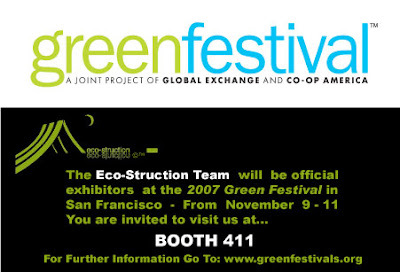 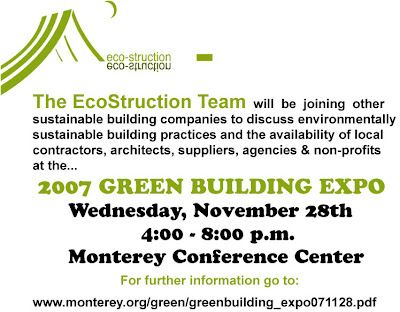 The 2007 Green Festival in San Francisco, where the Eco-Struction Team exhibited at BOOTH 411, was a terrific success. 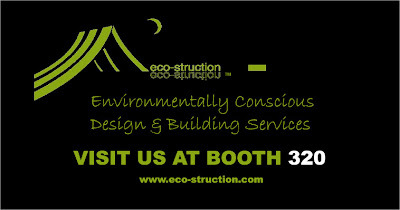 Eco-Struction, Inc. was a Corporate Sponsor of this year's SolFest XII Renewable Energy and Sustainable Living Exhibit, where the Eco-Struction Team held instructional talks at their Exhibitor's Booth and were Principal Speakers at Lectures and Hands-On Workshops.